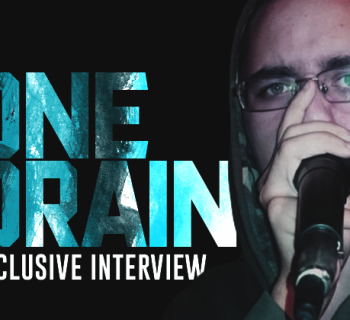 In this tutorial we will explain how to mix your drums using compression and EQ to get a real fat, in your face sound! Now open up you mixer window (Window > Mixer) and play around with the Volume and Pan settings, until it sounds as good as you can get it. 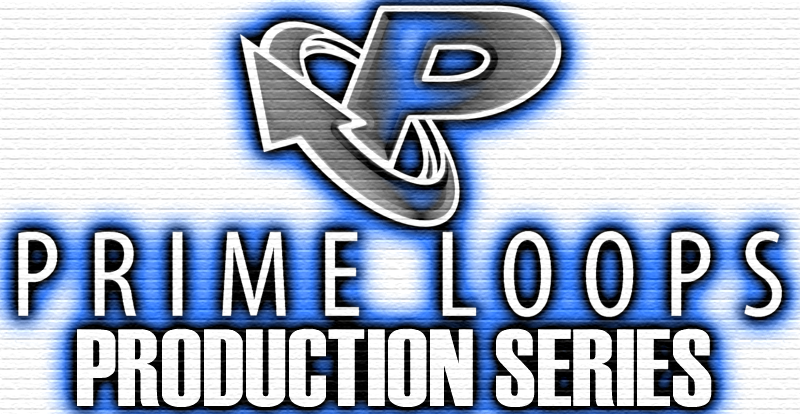 You will always want you main Snare and Kick Drum to be panned centrally, but you can play around with your Hi Hats, Toms and Effects. It is sometimes useful to imagine yourself looking at a drum kit, and pan as how you would hear it. So your Hi Hat would want to be slightly panned right and your Ride to the left, your Low Tom, to the left, Mid Tom in the middle and High Tom to the right a little. However this is up to you and may not work with the type of sounds you are using, so have a go! Once you have got it sounding as you like, solo your Kick Drum. How does it sound? If it already sounds good to you, then there is no need to do anything more... Only add effects if you think your drums could benefit from them. 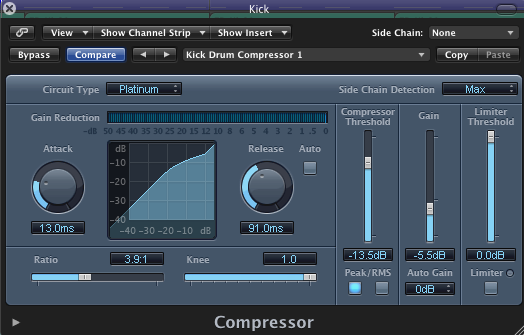 We decided that the Kick needed a bit more attack and impact to it, so we added a Compressor. The following settings gave our drum a little more 'punch'. 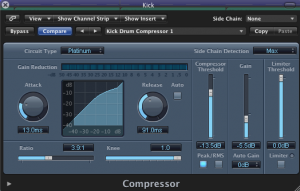 You can use Compressors to bring out the attack or 'click' of the drum by using a lower Attack, but for a fat kick drum you will probably want at least 10ms of Attack, and a medium to high Release setting. 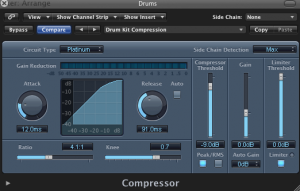 Use the Threshold and Ratio to determine how much Compression you want. 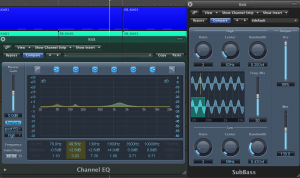 We also decided that there was not enough sub in our Kick, so we added Logic's 'SubBass' plugin, which is great for really beefing up your Kick, you can also achieve this by boosting the sub frequencies with your EQ, or a suitable VST plugin… We also added some EQ! We boosted the lows around 50Hz and 150Hz to add more sub and punch. We also boosted around 1.5KHz, which brings out the Attack and click of the drum, which is great for helping it to cut through a mix. Once you are happy with your Kick, move on to your snare. Again, decide what you think it could benefit from. We decided ours was a little thin, so we added a Compressor to bring out the tail or decay of the sound. Like with your Kick, you will need to open the Attack to let the initial sound of the Snare come through before it is compressed, and you will want a relatively high Release time. 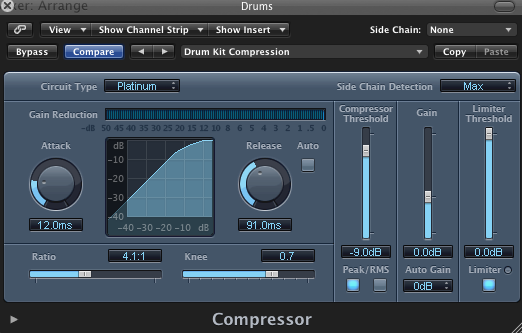 You may also wish to use a Limiter if your Compressor does not have one built in. We also added a gated Reverb effect, using Logic's Enverb plugin which is very effective for this. This really fattens up the Snare sound and gives it much more character. We decided that there were a few unwanted Frequencies in our Snare, and it could also do with a bit more 'snap' and a bit more 'punch'. By boosting around 200 Hz this really brought the bottom end of the drum out and gave it more impact. A gently boost around 6KHz made it a little more crisp, and a gentle cut at around 1KHz and a cut below 100Hz got rid of the frequencies that we didn't want. 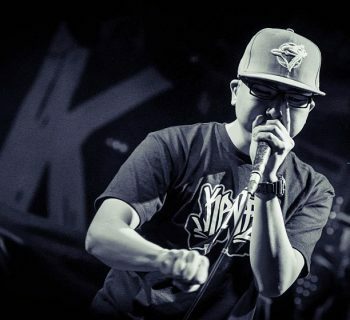 Once you are happy with your Snare and Kick, move on to your hats and effects. We decided ours had some low frequencies which we didn't want, so we cut them out and boosted the highs to get them nice and crisp. They didn't need any compression, but we added a little delay to the Closed Hi Hat as it was a little sparse and needed filling out. 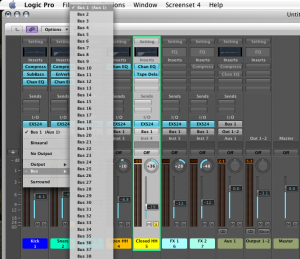 If using Logic, in your mixer you will notice a new Channel Strip has been added, called Aux 1. 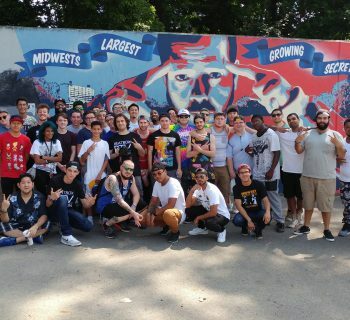 We want to change this to Drums. 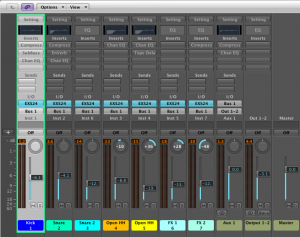 Now all your Drums are coming here, basically, whichever software you are using, you want to set this up 9as described above) so that you can apply effects to the whole kit as a whole. We are going to start with Compression. 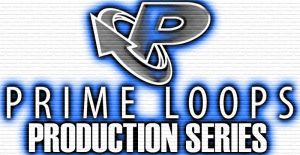 You may wish to use a Preset and then change it to suit your needs. We have used a moderate Threshold of -9dB, a ratio of 4:1, and a moderate attack of 20ms. 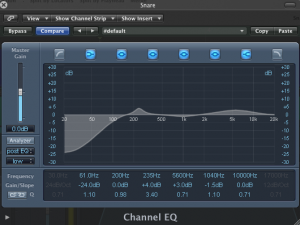 We have also used a built in Limiter to Limit the really loud parts (in this case the Snare.) You should be able to hear how the whole Kit sounds louder and more 'level'. 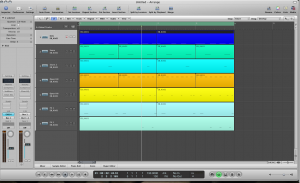 By Compressing your Drum Kit as a whole in the mix, it really gives you more headroom, and helps to glue the drums together nicely. 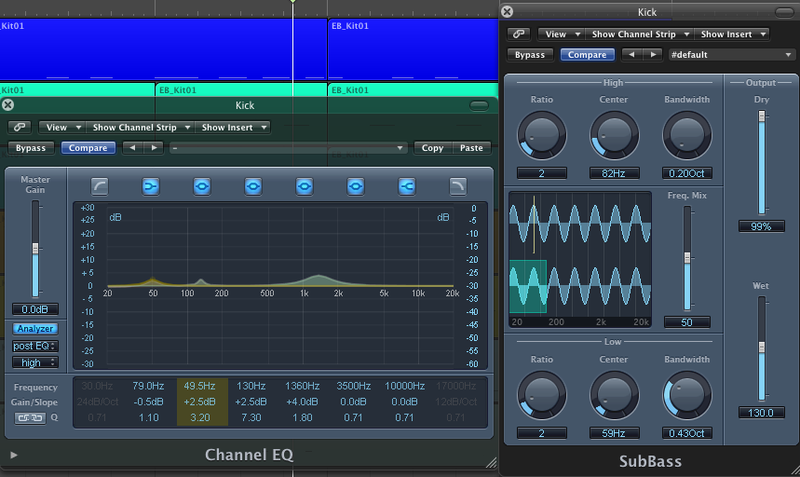 Now you may want to add some EQ. 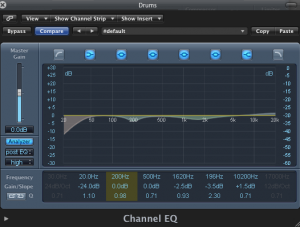 As you have EQ'd you drums separately, the main objective here is to get rid of unwanted or muddy frequencies, and maybe make room for other instruments in your mix. We rolled off below 40Hz to get rid of any unwanted rumble, dipped a little at about 250Hz to get rid of some 'muddiness', and a little at around 1.5kHz to get rid of some harshness, and then a tiny gain above 10kHZ to add a little more 'sparkle'. 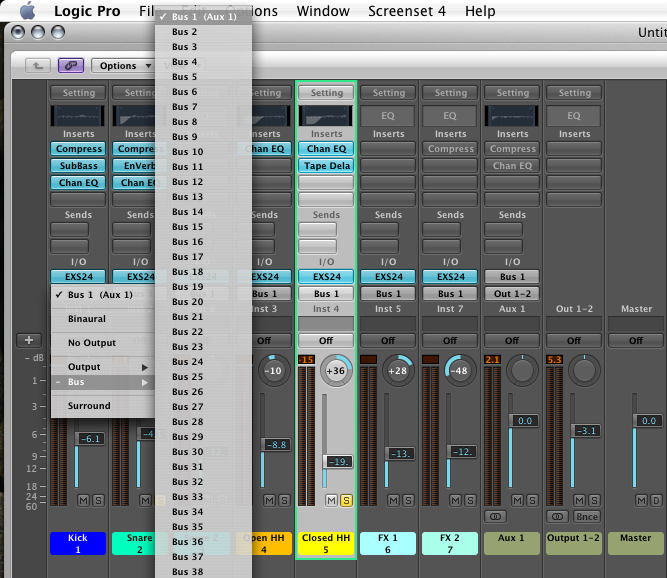 And that is how to create Phat (yes….with a Ph…) sounding drums! For extra dirtyness, add mild Distortion or Bit Crushing to your Snare, or even your whole Kit!